Unlike standard studio sessions & as you can appreciate, newborn photography can be a very time consuming & a delicate process. It also requires a different environment & more intensive post processing to remove blemishes, milk spots and other non permanent, transient skin conditions. Each final image you receive would have received on average 10-30mins of delicate post processing to give you the best images possible. The hardest part of this processing is ensuring your images still look incredibly natural and not 'photoshopped'. You can expect 30+ images of your newborn from your shoot. 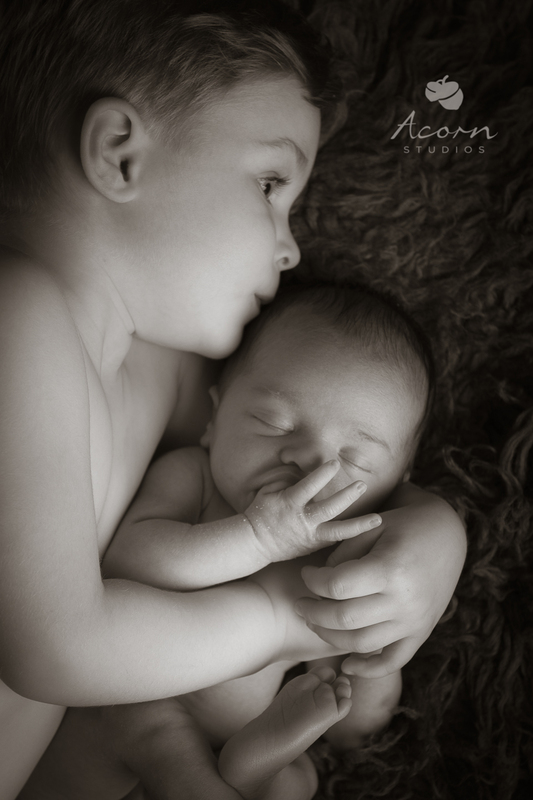 We book newborn shoots in only in the first 14 days of birth. After this time, their little bodies become stronger, they are awake & more alert and we are less likely to be able to manipulate them into classic but safe newborn poses. We do not attempt potentially dangerous poses with your child. We do not make composite images to give the impression of self supporting heads or limbs. We only encourage natural, safe & comfortable positions for your baby. 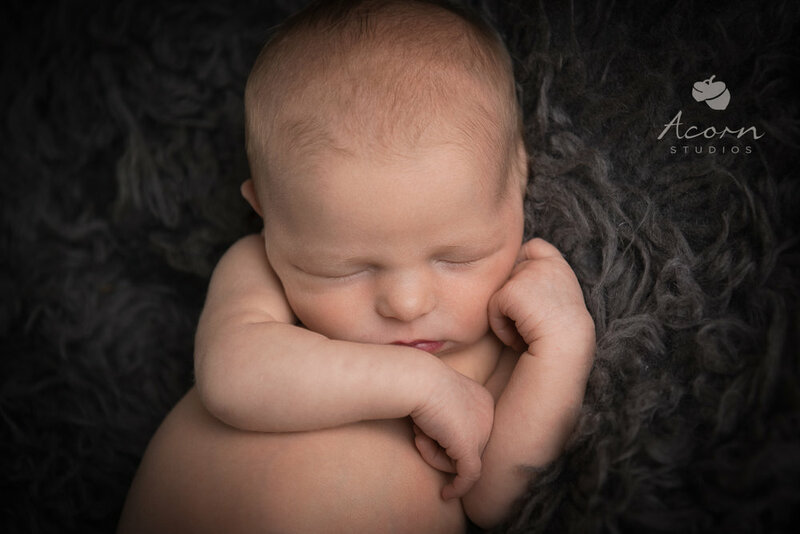 We set aside a 2-3 hour window for our newborn shoots which enables us to allow for feeding and comforting of your baby at a photographic session pace that is led by your child. They are in charge, not us! This also enables us the time to swap out colours and natural props to give you a range of images you will treasure for a lifetime. We keep props and clothes, hats, outfits to a minimum to capture your newborn's wonder in a classic & natural way that won't date with time. What may seem cute and contemporary today will soon be relegated to fashion statements of yesteryear. Your newborn is beautiful as they are, keep them that way. 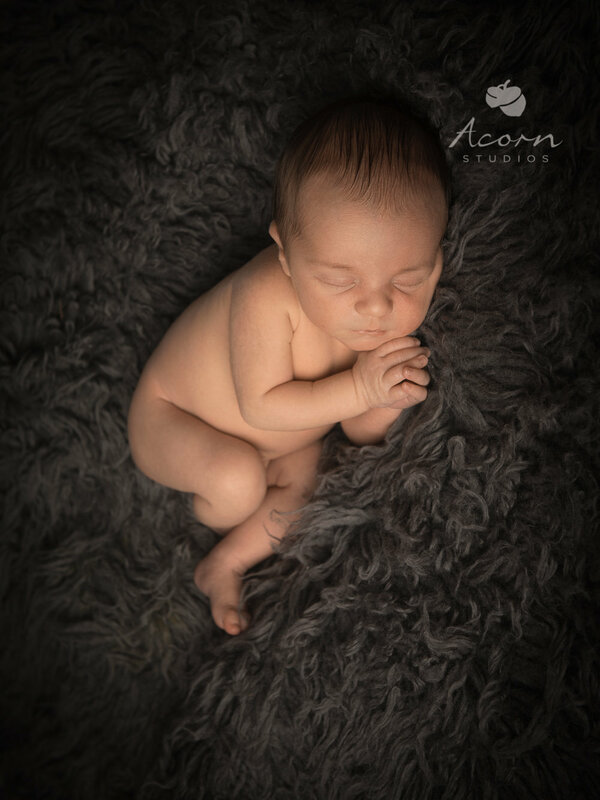 In preparation of your arrival, we will preheat the newborn studio to a pleasant temperature well before you arrive that will keep your newborn cosy and warm during his/her session. Kitchen & toilet facilities are available if needed. Of course, we won't forget about you and we can provide tea, coffee, water and soft drinks on request as part of our service to you. The session fee is all you will ever pay. No emotional blackmail, no hard print sell. We can of course give you recommended printing options on request. Booking. When booking, please choose your due date as the day of your shoot. We know this probably isn't going to be your actually shoot date - but we can move you're appointment either way once baby arrives and you are both ready for your shoot. In addition to our Natural Newborns, we also offer Maternity/Bump Shoots to capture you bump in all it's glory and a perfect compliment to your newborn images.